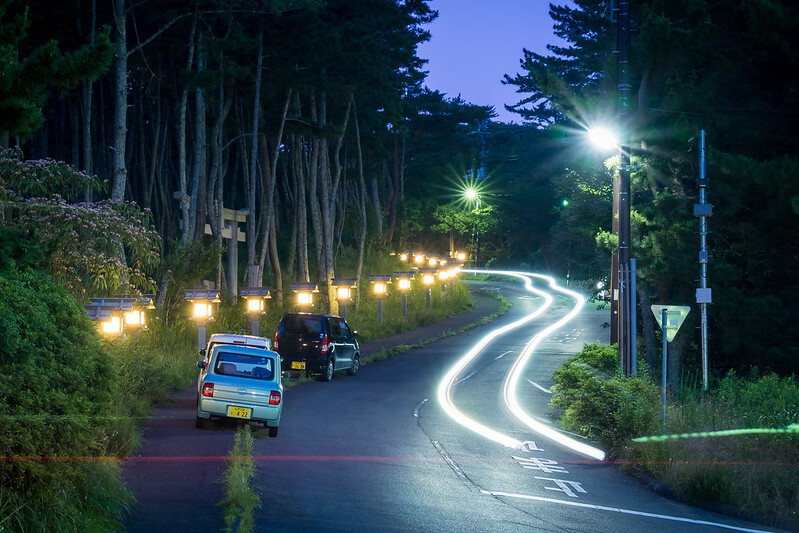 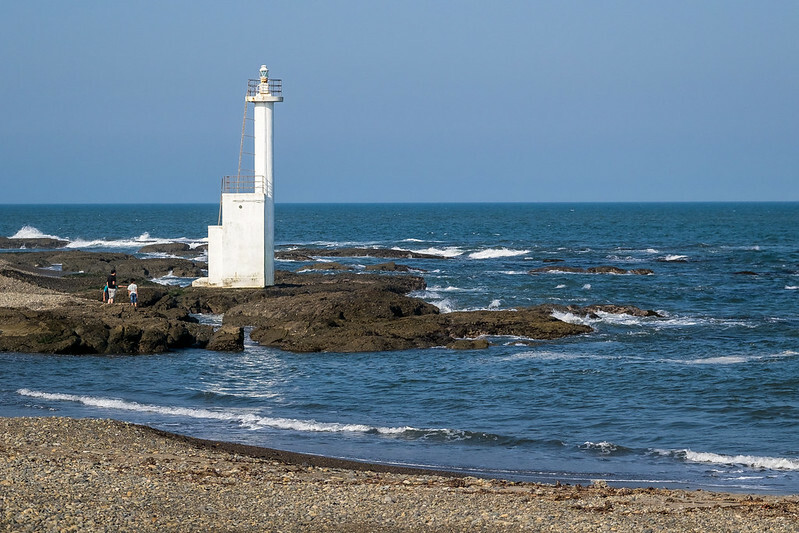 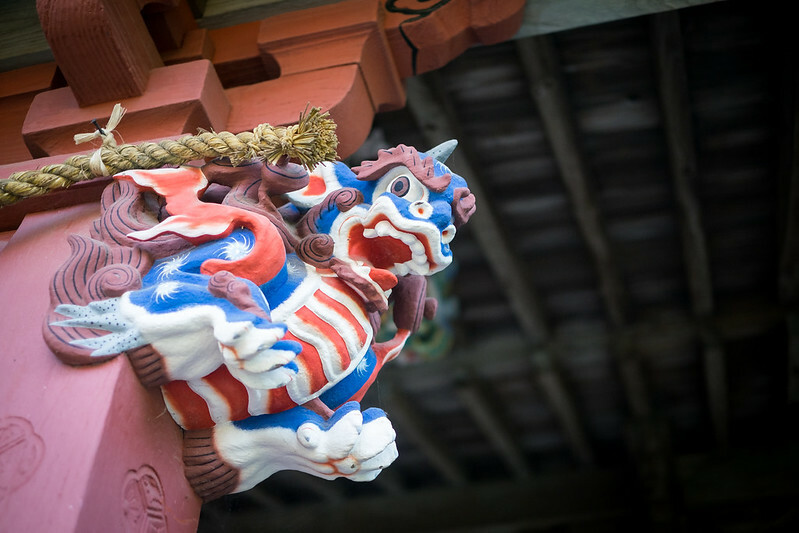 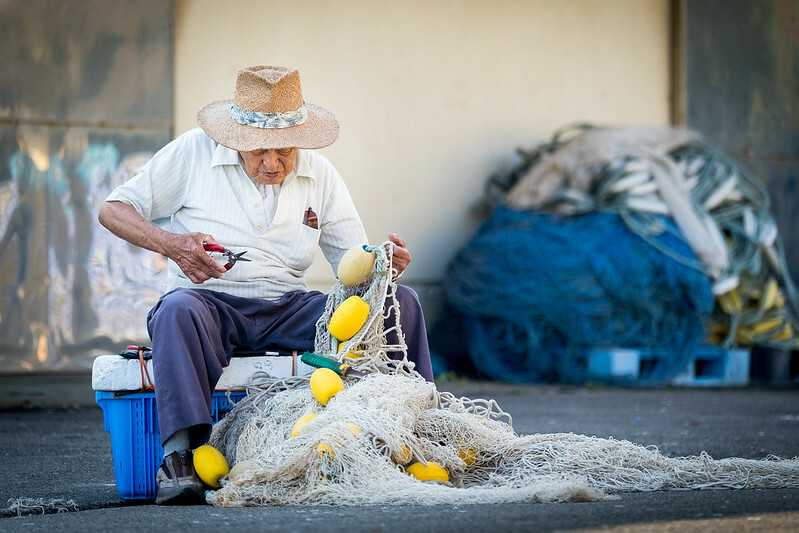 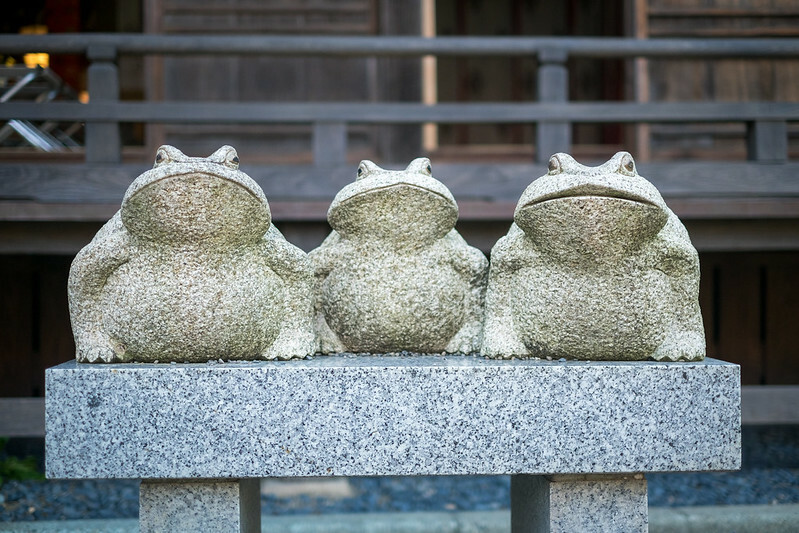 Oarai is a small town located North-East of Tokyo in the Ibaraki prefecture, known for its fishing port, its beach and its famous aquarium. 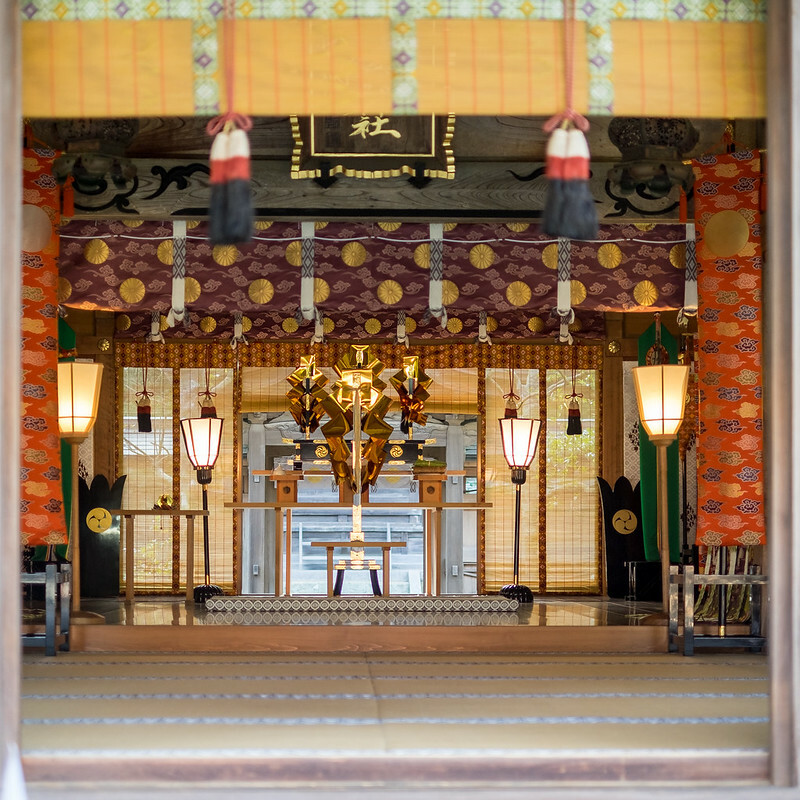 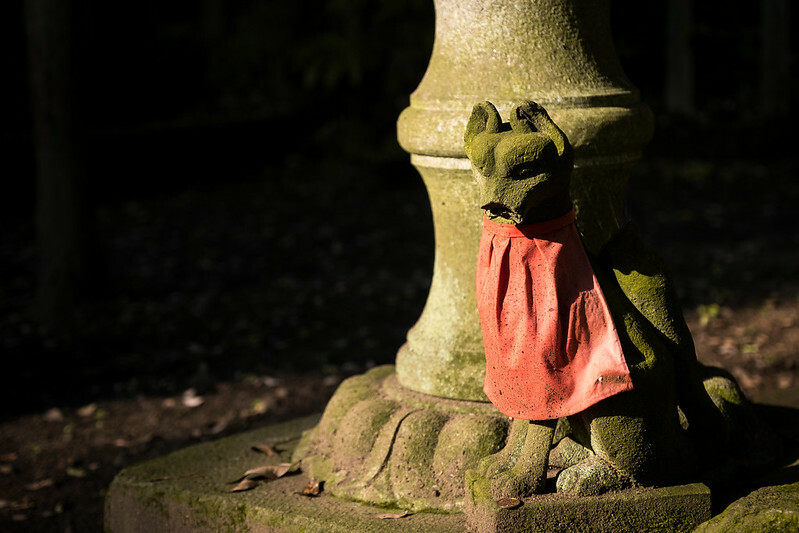 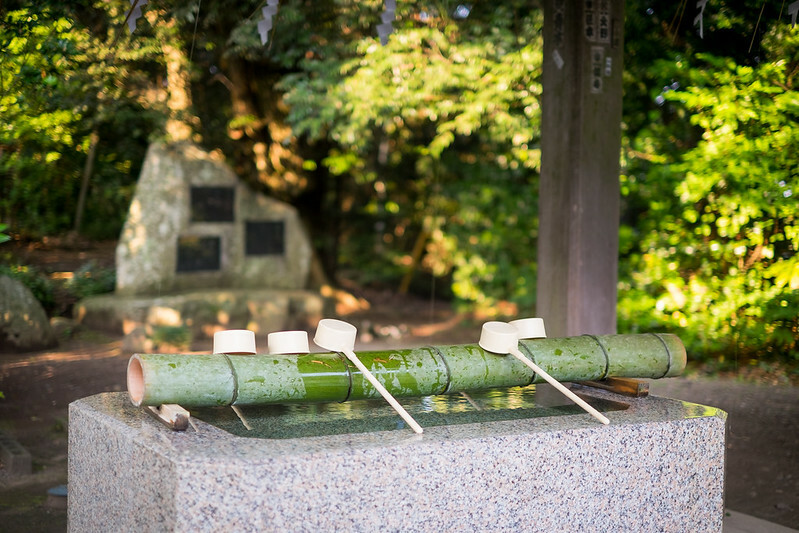 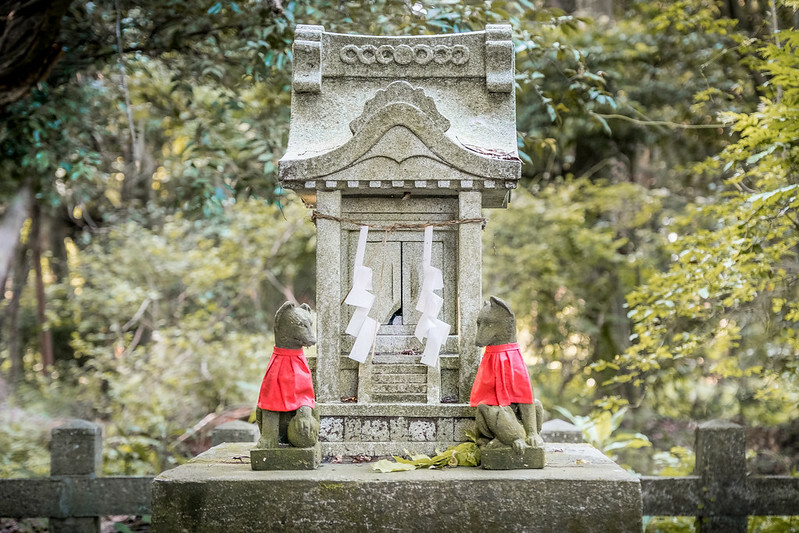 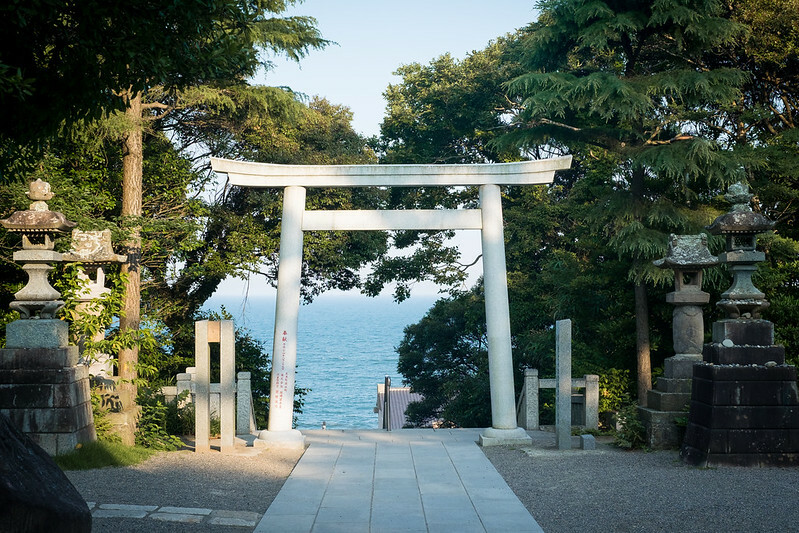 But the place that I personally wanted to visit there was its shrine located just opposite to the seafront: Isosaki-jinja. 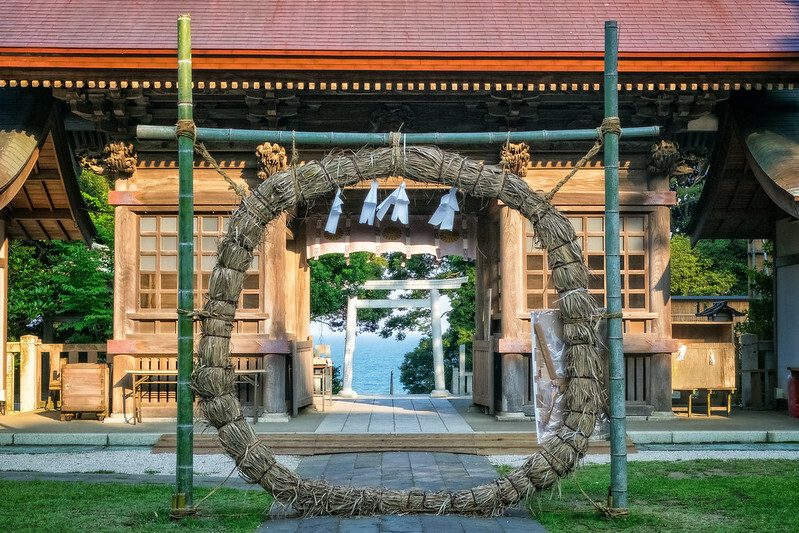 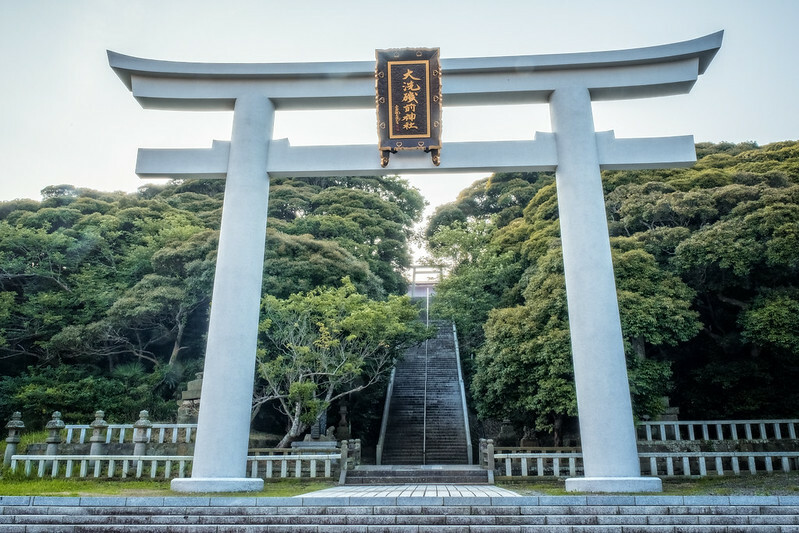 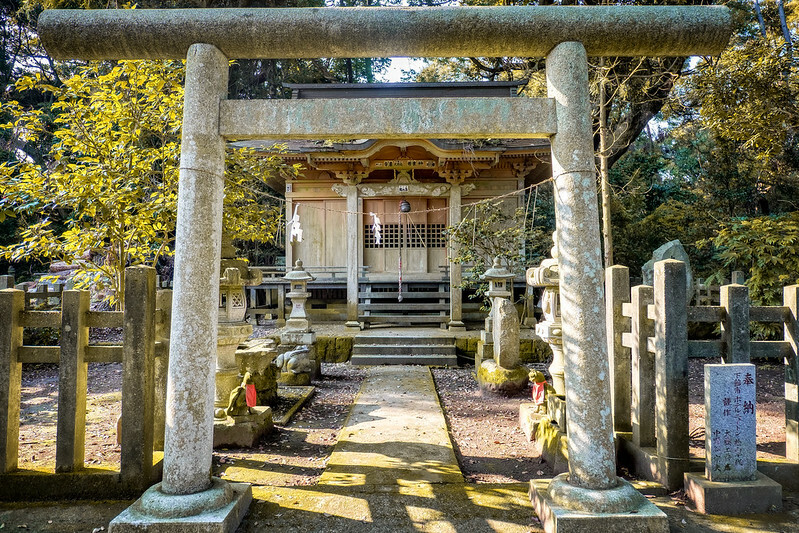 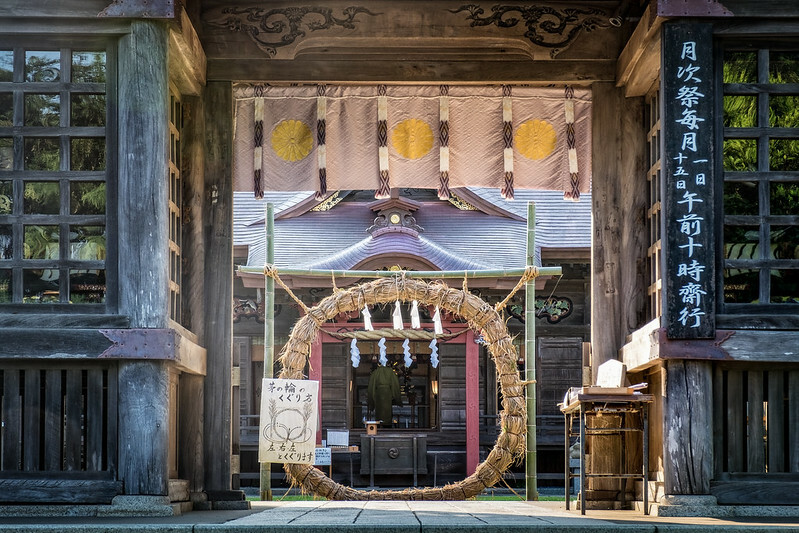 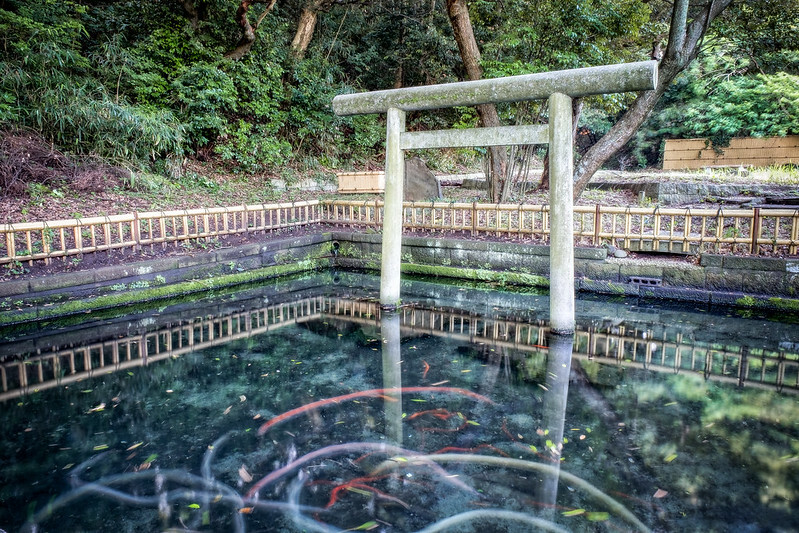 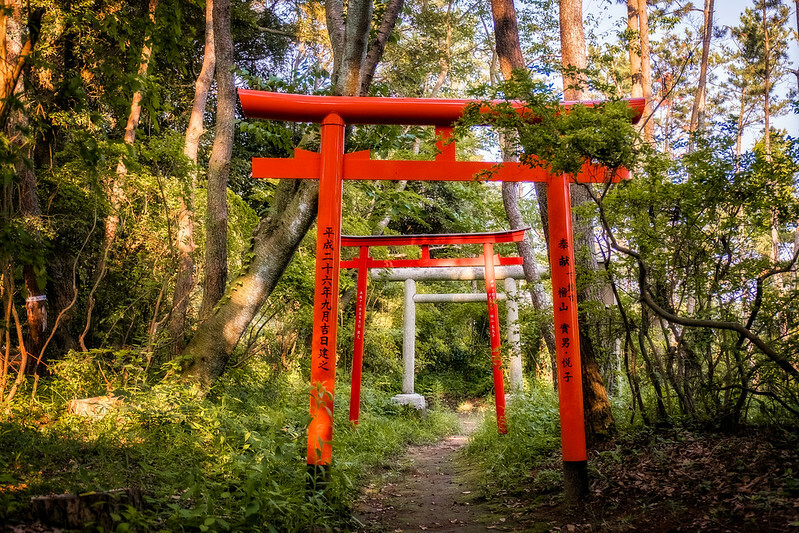 Isosaki-jina is located on a small hill directly facing the Pacific ocean, that you can access directly via stairs, with a large Torii gate at the bottom. 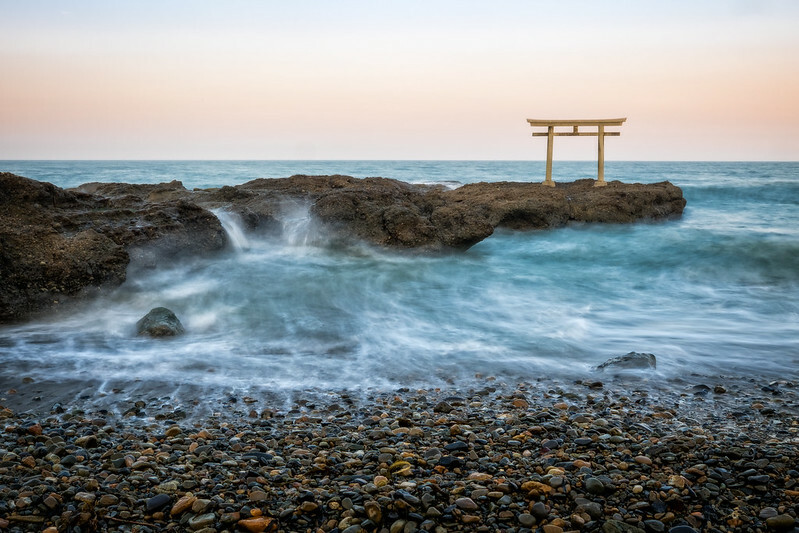 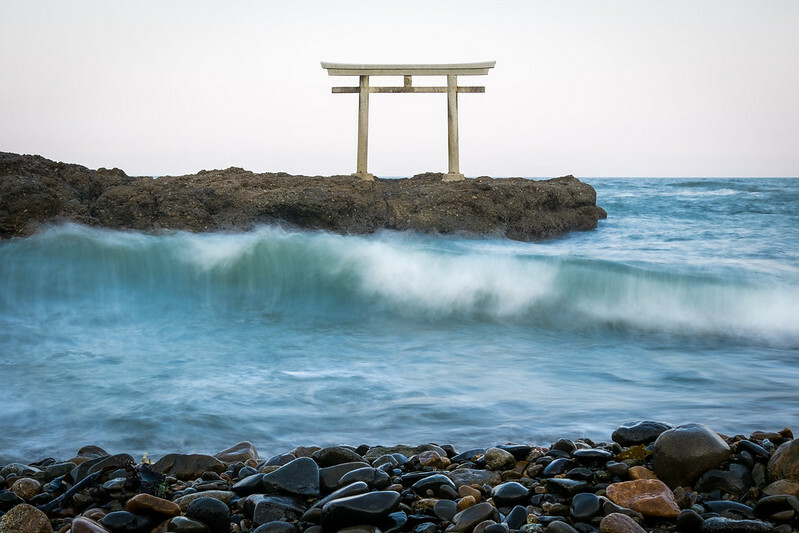 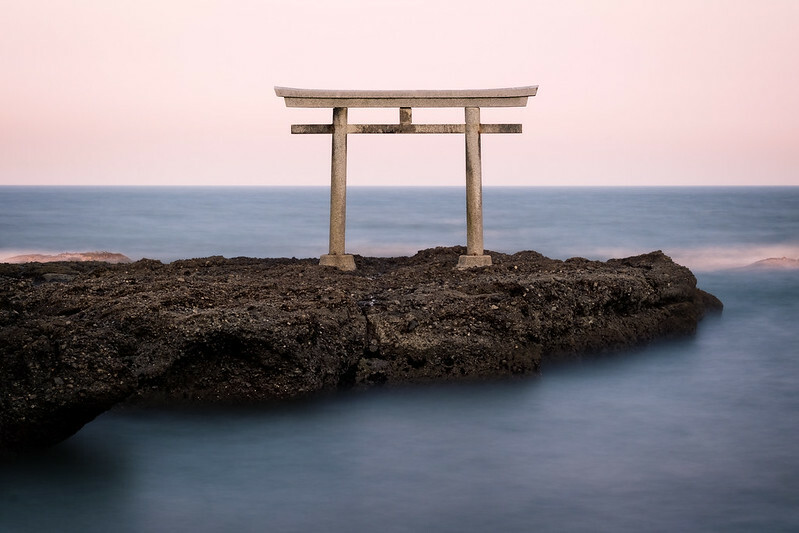 Once you arrived to the waterfront, you will find a small Torii gate built upon rocks right into the ocean, which creates a beautiful scenery.